The Original and the best “Battle of the Arms” Tournament. City of Frankston – Sun 7th Apr ’19. Armed Bowlers have grown to love this event, and turn up to compete from all over Victoria. In fact, the real growth of Armed Bowling was rooted here. The City of Frankston Club has owned Armed Bowling since 2008. There were prizes galore, with 4 of the 6 bowlers on table one, the beneficiaries. Thanks to the Club for its very generous prize money and support of this wonderful event. A petition was there for all that wished to air their grievance to the latest Bowls Aust. change to remove the need for a medical cert. It was 100% taken up! If you wish to support your “Brothers in Arms” in preserving the “Status Quo” i.e. that a medical certificate and registration card still be required for Arm use, you can download a personal letter here or a petition for yourself and/or your Club here. These Links are also available in the “Your Comments” Section. Your can also make your own comments on this or any other Armed matter there. Signed Letters or Petitions should be forwarded to Darryl Clout, President, Bowls Aust. PO Box 52, Northcote, VIC 3070. Third place went Jeff Crawford’s team from Maffra, with fourth going to Sandy Caines of Moe and fifth going to Geoff Stobbie of Maffra. “Gou (pronounced Go) was indeed the best opponent I’ve come across, a the rising star!” Yarraville are lucky to have you. A really tough game that could have gone either way. Won by Ann Power and Pamela Bryant. 24/19 over 15 ends. A topsy – tervy game. It was anyone’s, but a last end comeback helped. It was Carole Krop/Pamela Wakefield Vs. Pamela Bryant/Ann Power. 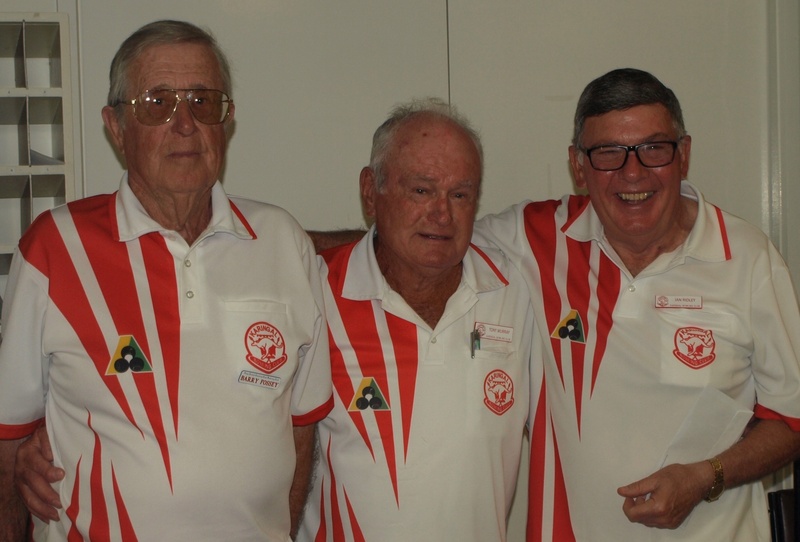 Karingal held their 2019, 2 bowl triples tournament for armed bowlers today. It was a fabulous day with 3 games of 12 ends and no weather dampeners/impediments (not too hot, not too cold). Game 1 started at 10am but 2 teams didn’t turn up…. Whoever you are, think about it! Karingal took it in their stride and things settled. Lunch was taken after game 1 and thanks go too; Anne, Helen, Heidi, Glenys, Marg (Kitchen) & Rod (BBQ)! Bangers, Burgers, Mash and Peas …… and thanks for the gravy! Game 2 started … well, …. after lunch, and the sun started to make itself obvious (occasionally). It was straight through to game 3 and that sorted out the running order for prizes, presented by valued sponsor Andrew Milne of O’Brien Real Estate. Best 1st game: Arthur Parker (Mt Martha) with team Bob Campbell and Mike Whitty, and prize presenter Andrew Milne (Sponsor). Best 2nd game: David Bernard (Armadale) with Rosemary Michaels, and Diana Francis. Best 3rd game: P. Gillin, (Baxter Village) with Howard Hinds & Alan Jackson. Runners Up: Peter Gribbin (Pakenham) with Gerry Dawson and Brian Cadell. Winners: Graeme Avery (Karingal) disguising himself as a C of Frankston player, with Ian Ridley and Pers Lienors. A fabulous day, one I’ve enjoyed since its inception. AND… we’ll all be their again next year! Nice to meet Cousin Howard Hinds on the day! The Men’s Singles commenced today with all 16 Sections competing on the Armadale Grass and Synthetic greens. It was an eight thirty start and conditions were excellent throughout the day. The Club provided lunch packs for $10, a welcome offering for those late risers. Those in purple go into the next round. 1 to play 4, 5 to play 8, 10 to play 12, 14 to play 16. Day 2, Ladies Singles and Men’s Pairs, were also played in excellent conditions, but watch out folks, we are in for it tomorrow with a predicted 33 degrees! Alas I’m bushed?, and can only tell you what I told my Club (Edithvale). “The women’s Finals were called off due to heat! I won my Semi 21/9 against Lorna Howell from Horsham Golf, a very formidable player, after defeating Carole Klop and Kerry Ralph with the smallest of margins, (last year’s Pairs (Carole) and Singles (Kerry) Winners). Following on from my Singles win, Ann Power and I had to play the Quarter Final of the Pairs against State team Reps., Kerry Ralph and Adele Ryan (last year’s Singles Winner and Runner up). We won that game courtesy of some excellent bowling from Ann Power, but I did help her out on the odd occasion, in the latter stages. Thanks Ann, credit where credit due, you were great! Situation is now, I have to play Gou Engebretsen (Yarraville Footscray) sometime (?) for the Singles Title and Pam Wakeford and Carole Klop, sometime (?) to get into the Final of the Pairs. Yi Ha!! !” I think that explains the Ladies Sections. As for the Men’s results, I salute Bowls Vic. Sean O’Kane. He has done a fabulous job!, and courtesy of him you can see all you want or need to know here, or below. Disappointing to note that 8 or more State Squad members, the State Armed Co-coordinator and the State Armed Selector did not compete or attend? The planned format for the day, recommended by Peter Cornell, our Bowls Director, (now deceased), was to have the AM devoted to coaching clinics engaging the most experienced Vic. Bowls accredited coaches he could arrange to come. This was achieved by the attendance of Michael Rose, A.J. Parker, Tony Long and Adele Ryan. The participants, approximately 40, were classed into 2 main groups of less than 2 years with the Arm and more than 2 years’ experience in using the device. The one and a half hours allocated to coaching was enthusiastically received and the time flowed quickly. The information and practice drills followed by individual opportunity to discuss methods was evident. After a 2-course luncheon, the 40 players were assembled into a Triples integrated format where as a Lead Second and Skip each game would provide opportunity to meet and play with other bowlers. Final Results of the day saw sponsored prize money distributed to the following bowlers. Belmont B.C. Bowlers’ Arm Day. Winners: Skips, T. Long (St. L. & VB Coach), Second, J. Jackson (H), Third, L. Claffey (B). Winners: Seconds, C. Wilkins (B), Second, P. Bristow (Wbe), Third, M. Monteith (T). Winners: Leads, G. Priddle (B), Second, A. J. Parker (VB Coach.) Third, B. Ryan (RSL). Successful format arranged by P. Cornel (B). Acting Manager R. Lyle (B). The Day concluded with the visiting Coaches presenting the Belmont Club with a framed Appreciation Certificate from Vic. Bowls Bowlers Arm Coaching Group. The original concept of the Bowlers Arm featuring with interest. Michael Rose commented that this Coaching/Game day was his first at this format and he had enjoyed meeting and working with the players right throughout the day. Conclusion: It was such an interesting and rewarding day. We hope that the Day can be repeated next year. A Sunday early in the summer bowling season would be ideal. We all went to the seaside for this one, but alas, yesterday was the beach day, today the wintery one, even so, the welcome by President Peter Gordon, the club facilities, greens and vista were all worth the trek. Responsible for getting this day up and running were: Liz Ainslie, Graeme Hegarty & Pat Donnelly with assistance from Phil Gude. Ian Daley put in his day as “Umpire”. I don’t think he got a call? Nevertheless, thanks for being there, when we need an Umpire …. we really do! Mostly there are those that put their heart ‘n soul into our enjoyment of the day, they are: Donna Cartwright, Jan Ryde, Jill Fletcher, Lorna Williams, Pat Donnelly, Pat Loveday & Ronsley Gude. Thanks also to Terry! As a nice gesture at days end, Graeme Trew (City of Frankston) rose to thank the Dromana members for their efforts and friendship on the day. Winners Dromana Peter, Keith and Gary. What started out to be a cold, cloudy and wet day, finished up hot & sunny …. but that’s Melbourne. Everyone turned up and we all enjoyed the changed format. 2X8 Ends on the Grass or Synthetic before lunch and 2X8 Ends on the Synthetic or Grass after lunch. A 2 end roll up first up, and after lunch, as we changed surfaces. Speaking of lunch, Armadale do this well, will beautiful high-end salads and bread, served with hamburgers and sausages or vegie patties. Fruit or a splice followed. There were quality biscuits and cake available all day with tea or coffee, and the “after pickings” were (as usual) superb, at days end. Regis, aged care sponsored the day and Martin Jones, in company of Kirby Leitch (Business Development Coordinator) spoke enthusiastically on their wider sphere of care. David Bernard, Organizer and Promoter. But thanks to: Marcelle Karro, Beryl Levin, Judy Beitner, Lyndsy Solomon, Sandi Meltz & Mandy Schocket. AND yes (!) there were 2 men in there… Neville Karro (Marcelle’s husband) and Colin Luber cooked the delicious bar-b-que! Bar Staff were: Les Newman (Vice Pres.) and David Kweitel. The Green Keeper and the Groundsmen (those there to help!). Placed third were; Sheldon Lipschitz, David Mattiazzo, Neville McKenzie – Donvale Club. Those vying for 1st and/or 2nd were chosen by percentage, as 2 teams had 4 wins and +20. Today’s Werribee Armed Triples, was an agreed success, with great weather, great greens and great company. It was their fourth armed tournament, well run by organizer Pat Bristow. Thanks to Maureen Torney for the photos. Well done Werribee! Winners: Tony Angel, Rod Davis & Bob Childs. Runner’s Up: Ron Johnson, Barry Smith & Andrew Jelbart. Best Last game : Alan Taylor, Neville Hopkins & Terry Daynes. Thanks Pat for the pictures below. Fabulous weather day…. they got it right first up! Berwick pulled out all stops to make this day a success and get a feel for what they may do next year. Teams were keen to travel to this event, and came from, Barwon Heads, Burden Park, Cockatoo, Dandenong Club, Dromana, Edithvale, Mordialloc, Newborough, Pakenham and Phillip Island. Berwick Armers also supported their Club’s first running of an Armed Bowler Event. Thanks, John Arboit on the bar. Sincere thanks to Committee Members Allen Fary (also Umpire of the Day), Mike Hodges, Annette Kirby (Administration), Graham Rushton (scorekeeper) and Gary Westall (Flyers). Many special thanks to the photographer of the day, David Conrad. This was indeed a well-run tournament (one small hiccup), with a good no. of helpers, volunteering. Great Day Berwick! We’ll all be back next year and we’ll bring our friends too! Winners, Margaret Beechey and Wayne Frazer (S). 3rd John Bryant and Pamela Bryant. Best 1st, Rob McGrath and Fred ed Black. Best 2nd Andrew Johnson (S) and Peter Bott. Best 3rd Rita Waugh and Avril Steere. Allen Fary (Umpire) Mike Hodges (Org.). Burden Park Armed 2 Bowl Triples – Thursday 8th Nov. ’18. Burden Park Bowling Club hosted its second Bowlers Arm Triples, sponsored by Octave Sarkissian, today. It’s been a busy week for tournaments and some suffered a “rain out” on Cup Day Tuesday, or had to reduce play. Promised “Arctic blasts” and possible showers/hail, did not eventuate over the next 2 days however, and if you rugged up…. well it was quite pleasant, really. To Octave…. the day went well and I did miss you, but we all hope your cruising days are very happy ones. There were 18 teams competing, over 3 games of 11 ends, with 2 bowls each player. Ouch, and deadly (but I loved it)! Thanks to Tina Mangoni, Helen Alexander and Heather Frazer for a wonderful early cuppa, lunch and afternoon tea. Thanks to Mark “Bundy” Layton, at work on the bar. Thanks to Wayne Frazer and Peter Lawton for their organisation. Thanks, Octave, for your sponsorship. Thanks to Green Keeper for the great greens, well prepared. Let’s get on with it! 14 teams in Pairs played in this Major Tournament, we played 3 games of 12 ends. Teams came from Epping, Euroa, Dromana, Kyabram, Wareena Park, Ivanhoe, Heads plus Benalla. Runner up also with 3 wins, but only 23 shots up, D. Ryan & J. Higgins. Best last game winner R. Allen & B. McLarty. It was a very hot and dusty day… nah, …. Sorry, that’s the wrong story. It was a great turnout at City of Frankston in celebration of Alby Ashley’s instigation of a tournament specifically designed for Armed Bowlers, a decade ago, and Alby was in the thick of it again today, still bowling superbly. Too superbly for some. There were 34 teams, using the three grass greens, beautifully prepared by Green Keepers, Darren Morgan & Steve Arthur, in-spite of conditions thrown at them in the last 2 days. It was 1X10 ends (1 end roll up), and 2X8 ends after lunch. Sounds good, but we did have to “battle” the elements this time, a howling wind, and sheeting rain. If your partner bowled today be very, very kind to them tonight and tomorrow. The Mayor of Frankston, visited at the lunch break, and he was suitably impressed with what the Club had achieved, in having all these attendees who may have had to leave the game, were it not, for Alby and the Arm. Wendy Williams (she doesn’t even bowl! ), Jan Patten, Lorraine Letcher, Marlene Kavanagh, Marg Holmes, Dawn Vaughan, Pat Hollow, Andre Date and Sybil Vorbach. Those 9 worked feverishly over two days and are to be commended. We had cake, breads, and other “thingies” on arrival with our tea and coffee. A great chicken salad and great desserts (out-sourced desserts… and we all want to know where they came from!!!). A platter of nibbles was provided for us, as we gathered inside, to learn who the winners would be. Echuca, Boronia X2, Flem./Kensington, Burden Park, Karingal, Deer Park, Mooroolbark, Glen Waverley and the home team. In all, 34 plus Clubs had players here today, either in composite or Club teams. (There were also many who had had attended 9 “Battles” …… so “well-done” City of Frankston.) Cec and Joan Moss of City of Echuca were 2 of those and they received a gift for having travelled further than anyone else today. A long letter from Phil Gude was read out by Richard Keogh and was well received and appreciated. We also must thank the ever-vigilant Umpires, for standing their ground and being our best help when needed, and for cleaning up after. Thank you, Bert Kavanagh and Alan Longmuir, for all your work on the cards today. 1st $600, 2nd $330, 3rd $240, 4th $180, 5th $150, 6th $150. AND, Best 1st, 2nd and 3rd game winners $120 (One prize per team only). We also have to thank those that brought us to “where we are today”. It’s timely to remember and “lock in” the names of Alby Ashley, Richard Sissons and Richard Keogh, for without those three I doubt we’d be “where we are today”. The Battle will continue! Look forward to the next. Cheers. What a fantastic day. The Mike Menz Armed Bowlers Tournament and Charity Day saw over $5000 raised for the Sunraysia Cancer Support Group. Congratulations to everybody who participated on the day. And one big thank you to all Members who hopped in and helped out with the catering and refreshments. Pictured below from L to R: Kevin Knight, John Nicholas, Mike Menz and Bernie Sharp. The winners of the first Mike Menz day. Sincere thanks to Chris Mitchell, Mike Menz and the Mildura B. C.
Winners Rob Reseigh, Bill Livingstone and Lindsay Borden from Donald Golf Bowls Club. Runners up, Ted Cox, Robyn and Ken Goodwin from Warracknabeal B. C.
Sunday April 1st saw Warracknabeal Bowling Club stage the inaugural Easter Sunday Armed Bowler’s Triples Tournament sponsored by Hear-Clear Audiology and Naylor Agencies which must go down as a very successful day for the Armed Bowlers fraternity. Run in conjunction with the Warracknabeal Y-Fest celebrations the event drew bowlers from as far away as Heywood in the far south-west of the state to Charlton, Donald and Rainbow in the north and east. The 24 players from 8 clubs enjoyed great weather combined with good camaraderie to enjoy a great afternoon of bowls. All players in the competition are required to use a Bowling Arm to assist them to deliver their bowl which is an art in itself. After playing 2 games of 10 ends and a third game of 8 ends we found that we had two teams with three wins each. A play-off was decided to find the eventual winner of the day and after a three end play-off we found that the scores were level and an additional end was required to find a winner. The team from Donald Golf Bowls Club consisting of Lindsay Borden, Rob Reseigh and Bill Livingstone being declared the eventual winners over the runner-up team from Warracknabeal Bowling Club of Ted Cox, Robyn and Ken Goodwin. First touchers for lead, third and skipper prizes went to Bill Livingstone, Robyn Goodwin and Ken McGurk while the lucky door prizes went to John Witney, Lyn Kerr and Bill Kerr. Our thanks to Hear-Clear Audiology and Naylor Agencies for their fantastic support and sponsorship of the event and a massive thank-you to all those people behind the scenes who have combined to make this event a success. The day got off to a dream start, in fact it was an organizer’s “heaven” with all 22 teams, registered, paid up, and ready for the 10.30 start, after morning tea refreshments, at 10.15. Fabulous! The day was partly cloudy, eighteen-ish with wind gusts only the locals could manage, in the 3 bowls open pairs format (non armed players could compete, but only as Lead). Players had traveled far and wide to enjoy the company of their fellow Armer’s, including a ferry trip for some. Thank you to Wendy Hegarty for ferrying the ferry travelers to the Club, and back to the the ferry. Clubs attending were: Warragul, Ocean Grove, West Rosebud, Rosebud Country Club, Pakenham, Yallourn, Cranbourne, St Leonards, City of Frankston, Mordialloc, Karingal, Benalla and Edithvale. After the obligatory photo shoot, it was in to it….no roll up. 3 games of 10 ends, to a tinkering bell, sharp on 12.30 pm for lunch. If you forgot to bring yours, Dromana had it covered! Enjoy your pie Graeme Avery? Bill Forrester from Travability was on hand all day, taking photos and seemingly enjoying what his sponsorship had enabled. The company working in cahoots with Parks Victoria, saw Parks Victoria receive national recognition at the Qantas Australian Tourism Awards recently. You can read more about this on their site http://www.travability.travel or visit them at Shop 3, 143 Pt Nepean Rd., Dromana. Vice President Wendy Hegarty was very welcoming to all, and the day ran like clockwork with every need met, with a smile. Helpers, Wally Brierley, Graeme Quinn and Den Healy. Kitchen, Gill, Ines and Robyn. Bar, Wendy Hegarty, Pat Donnell and Jeff Barbara. And I’m sure many more lent a hand today. To Tournament Director Graeme Hegarty, well done, a great day and testament to that, a great turn out! Nice to see the Bezet’s back for a visit from Benalla. Oh, and …. we hope you had a Happy Birthday Graeme! That ukulele rendition of “Happy Birthday” was fab. Best 3rd, Ron Pickersgill, John Fairweather, Graeme Avery. Runners-up were: Ian McLeod, Doug Corrigan and Michael Rose (Skip) Ringwood. Winners were: Daryl White, Graham Peck and Phil Gude (Skip) Dromana. Congrats to Glen Waverly’s Reps. (Pamela Wakeford, Lead and Carole Klop, Skip) They are indeed the Best of the Best, last years winners, this year’s winners and Premier players to boot! Congrats to: Ron Eckhardt (Lead) and Skip Rodney (Bluey) Fletcher who have won the prestigious State Armed Bowlers Men’s Pairs at City of Frankston today. A very long day for all in the Quarter, Semi and Final Draws. Indeed the lunch break was at about 3pm!! The highlight of the Semi’s for me were: Phil Gude converting to a three up ( I know Radar got very excited at that one), and John Snell playing a “blinder” drive as Lead with his second shot, to clear from the head (and the rink!) of a resting toucher and it’s first drawn partner, 2 inches to the left, with only his two bowls left on the rink. You had to see it to believe it! Alas, I wasn’t there for the men’s finals ….but a big congratulations to Cohuna Golf bowlers Ron Eckhardt (Lead) and Rodney (Bluey) Fletcher (Skip). Marvelous effort on foreign greens for you. Fantastic weather for bowls, for all, with a wind challenge, to alter the status quo, during the day. The women’s event had only 2 sections, and you have to ask.…. why? C’mon ladies….get involved! The men’s event had heaps of entries: it is indeed a quality field. Today settled the Women’s Final. Adele Ryan (Ocean Grove) and Kerry Ralph (Barooga) will play Pam Wakeford (Glen Waverley) and Carole Klop (Glen Waverley) at 10.am tomorrow (Friday), over 15 ends. It’s a pity they are not on the “Show Green” at the same time as the Men’s Finals. Good luck girls! Pam and Carole below left, were last year’s winners! Below right are this years challengers Kerry and Adele. The men will have the early draw, 8.30-ish, and it will be roughly, 10.30 for the Semi’s. The Final will begin at about 1.30 pm and be played over 15 ends. Good luck to all competitors in the finals, what a fabulous time we’ve had. Day 2 – The Business End. Kerry Ralph (Barooga) played Debbie Strybosch (Mulgrave C.C.) in the early morning game and it was Kerry that prevailed, that victory sent her to the Semi’s which started about 10.30 am. The Semi Finalist draw was: Ann Power (City of Frankston) vs. Joan Moss (City of Echuca) and Kerry Ralph (Barooga) vs. Adele Ryan (Ocean Grove). The Men’s Draw games have been particularly gruelling because of the number of entries. Through to the Semi’s were: Michael Rose vs. John Snell (both of Lilydale) and Vern Rehe (Moama) vs. Neil Crisp (Koroit). Kerry played Ann, and Ann had game (2 shots on the head) when the score was 19 all. Kerry had last bowl however, and it’s never over until the last bowl goes down and when it does you have no redress. That Kerry set up a draw to the head, head, without going for shot early, was her saviour…… she had bowls in the head, but not shot. She played a magnificent controlled last bowl, on a green not to her favour, and did the impossible, making it look easy, turning it into 2 shots, in her favour, by playing just six inches over draw weight, and thus picking up her second Winner’s Medal. Well done to both…it really was a great Challenge. Michael Rose played solid and even all through this event, and as last year’s winner, a member of the State Squad and having a great mentor, won admirably to a man who blinded us with his prowess. Congrats to Michael, and also to Vern, both played well throughout…..both get a medal, and so they should. Check out the Bowls Vic. report here. Women’s results. The first two below are: Joan Moss – City of Echuca, and Ann Power – City of Frankston and they are SEMI FINALISTS. Next is Deb. Strybosch, Mulgrave C.C., who has to play Kerry Ralph, Barooga B.C. (5th photo, and last years winner) to get to the Semi. Adele Ryan, Ocean Grove, 4th photo is also confirmed as a semifinalist. All will meet tomorrow. Good luck to all! Ann Power – City of Frankston, into the Semi. As for the men’s draw, all but the 12th and last photographed are still in with a chance. Well Half of them, that is. I had to leave, before their games were completed. Fabulous day, extremely well run again by City of Frankston, thanks Wendy and your helpers in the kitchen. You do a fantastic job! The Umpires John Daniel, Nev. Bradley and Ann Walsh, really had their work cut out for them today, and what a brilliant job they did. Ann Walsh has got the nod to Umpire at the Comm. Games. look out for her on you telly screens. Congrats Ann! See you tomorrow and good luck, good bowling to all competitors. “Battle of the Arms” Singles. 30th Dec. ’17. It was a magnificent turnout for this City of Frankston Tournament, a Club which really does have the organisation of its “Battle” days “down pat”. It’s a tournament which caters for those who love “Singles” play…. Where else can you find this, and especially one, so well run? There were 48 entrants from far and wide, from all border areas, the in between, and all points north, west, south and east of Melbourne. The day was, a day of 2 halves, for all. It sorted out the Winners (The Section Winners) allowing them to fight on for the big money, and it gave the opportunity to those that didn’t win their section to play on, in the same format, with reduced ends, for the rest of the day, with prize money also available to them. Sponsors were: SAI Home and Community Care” represented by Sandie Grace who was on hand all day to take questions and explain their role in NDIS and My Gov. Care packages. Her talk at the luncheon break was very informative, thanks Sandie. Also, to speak at the luncheon break was Richard Haddrick from Ballarat, who competed, but was there mainly to introduce his self-designed/made “Dart Release” Arm, recently approved for use by Bowls Vic. and Bowls Aust. A very lightweight, well designed, Arm. 4th to 8th: Michael Rose (Lilydale), Tom Bee (Blue Hills), Jim Cuthbertson (Yallourn) & Neil Crisp (Warrnambool/Koroit). Thanks to the Umpire (and card collector) Neville Bradley. Thanks to Craig Williams on Bar duty. Special thanks to: Rob Huddle, John Frazer, Alan Longmuir and Richard Keogh for the organization and smooth running of the day, and of course to those that filled in as markers. A very special thanks to Richard Sissons, who could not attend today but was at the fore front of our minds as the convenor of many “Battles” past. We all wish you happiness and good health, Richard. P. S. If the measure pictured is yours, please ring the Club, it want’s to go home. What a fabulous day it was, and not just in Parliament. Burden Park features in despatches as well! For those of us that travelled there from Whittlesea, Karingal, Edithvale, Cockatoo, Armadale and more, it was a lovely “sun shiny day”. Organiser, Wayne Frazer did a wonderful job, getting up enough teams to make this day a GO-ER! Alas, as happens, some (2) players failed to give enough notice to the club when withdrawing. Let’s never let this happen again! If you have to withdraw, perhaps find your own replacement, as it’s “you” that knows the armed bowlers, not necessarily the organisers. We played 3 games of 12 ends in the 2 bowl triples format, and I needed 3 bowls (make that 5! ), and a few less ends! 2 bowl triples’ is good for the concentration and/but (depending on your personal likes) cuts out a lot of shot play. Burden Park is renowned for their culinary delights and still excels in this domain. We had tea & bickies to start, lasagne and salad at lunch followed up with a dessert “handmade” by the organizers wife (as if she hadn’t suffered enough), Heather Frazer. Thanks’ Heather for the beautiful ‘sticky date pudding” served with cream and custard. How good was that! Lasagne is also a favourite of many, but I’ve never had it at a bowling club before…. Beautiful! Those who delighted us with a delicious lunch were: Tina Mangoni, (Provedore and Organiser/Team Leader). Heather Frazer, (Sticky Date Pudding). Alan Hendry, Alice Craig, Barbara Walker, Helen Alexander, Jan Thompson, Michael Arthur and Steve Lawson. Greens were fabulous “thanks Macca”. Best 3rd Game went to: Debbie Strybosch, Octave Sarkissian and Tom Glynn. Organisers, MC, Promoters & Bar Attendants: Wayne Frazer, Peter Lawton and Brian Sinclair. AND…. FOR THOSE THAT JUST CANT BELIEVE THEIR BAD LUCK TODAY! REGIS AGED CARE SUPER ARM BOWLS TOURNAMENT RESULTS 2017. 2nd B. Rimer, M. Schneider , R. Solomon. 3rd B. Kendrick, J. Reid, M. Stransky. Best 4th P. Gribbin, G. Pincott, K. Archer. Great day of bowls with the weather not so kind at the start but finished on a sunny afternoon. 18 teams entered an increase on the 12 teams in 2016. The first prize with presented to Ray Palstra, Bruce MacDonald and Max Addison by Mr David Southwick MP as well as the perpetual plaque he donated which will have the winners name’s inscribed on as the 2017 winners. 2rd prize; B. Rimer, M. Schneider , R. Solomon. 3rd Prize: B. Kendrick, J. Reid, M. Stransky. B. Ormesher, J. Cobden , A. Power. K. Walter, K. Ralph, J. Walter. L. Jones, P. Dixon, J. Widdowson. P. Gribbin, G. Pincott, K. Archer. The high standard of morning tea, lunch & afternoon tea was enjoyed by all but maybe not the waistline. Today we had 48 players from North, South, East and West competing in the Bowlers Arm 2 bowl triples tournament at ‘The Hive” sponsored by Health & Mobility. We had teams from as far away as Yallourn, Cranbourne, Bendigo, Belmont and Rosamond and lots from in between. A great day was had by all. The eldest bowler was 97 years old, and it is testament to the bowler’s arm that both the aged and those with a disability are still able to enjoy their games. We are all so fortunate that with the aid of our bowlers arm we are still able to get out onto the green and enjoy both competing and socializing with friends. Mooroopna’s Armed Day was played in bright sunshine, on excellent greens and in great friendship. All 12 teams arrived bright and early from all points including, Echuca, Moama, Whittlesea, Barwon Heads, Benalla, Kyabram, Seymour, Cobram -Barooga, Mooroopna Golf, East Shepparton, joining members of the host club. Things got underway at 10.30 am in the Open 2 bowl triples, 3 games by 10 ends format. Lunch was a delicious cold serve with fruit salad and ice cream to follow. There were two teams with three winning games, but it was the Moama team of Vern Rehe, M. Jones and G. Johnson who took the major prize pipping the boys from Kyabram, Rob. Ansett, Gino Scapin and Chris Preddy. All attendees were very happy to be at this event today. It was a day to re-connect with fellow Armed Bowlers from all around the region after the winter hiatus. Lots of kissing, hugging and handshakes. But, stalwarts, we are, we just got on with it. Thirteen ends of 2 Bowl Triples by 3 games. Lunch…. what can I say! We were so grateful to have it about 12 noon, and that it was sausages, hamburger and onion (with gravy), mashed potatoes and veg., and sauces of your choice. HOT! It was not too bad weather wise through the next two games of thirteen ends. This was, and probably will be the greatest prize money ever offered for such an event. Oaktree Retirement Village put up $1,800 ensuring all rinks were full. Competitors came from places far and wide; Whittlesea, Warragul, Phillip Island, Korumburra, Croydon, Lilydale and Pakenham to name a few. There was one pull out, at the last moment however…….and that makes it hard on everyone. Karingal coped valiantly tho’ by calling in another team, and when one of those fell ill later….it was up to Graeme Avery Master of the Day to play Skip in the third round! This event, from beginning to end, was courtesy of the work of Graeme Avery. Thanks Graeme, what a great personal effort! Wayne Frazer, , Harold Ritchie. Last to finis in sunshine. If you are not already a follower of this site you can do so by clicking on the follow button to the right, above. Cheers Ed. Peter says of his team “They did well to get through the day. Sunday’s weather was freezing, with two rain delays and very windy conditions. The Winners rec’d $200 each, even better they gave out prizes to sixth place, not advertised. Lunch was a delicious roast chicken with dessert of raspberry tart. They only had a couple of teams pull out, so it was nearly a full book of entries. The greens ran beautifully considering the rain on Saturday night.” Thanks Peter for this report. Best first game went to Mordialloc’s Peter Dixon and Edithvale’s Pamela Bryant. Fabulous finals between Joan Moss (City of Echuca) and Kerry Ralph (Barooga) in the Women’s and Michael Rose (Lilydale) and Lee Wesley (Burwood) in the Men’s. Victors were ………..everyone who took part! The ones that took home the main prize and final accolades however, were: Kerry Ralph (Barooga) 21/12, and Michael Rose (Lilydale) 21/9. Well done to all that participated. Next year promises to be twice as big! Check out the fabulous photos and detail from Bowls Vic. HERE. Winners through to tomorrow’s finals in the Women’s draw are: Pam Wakeford (Glen Waverley), Kerry Ralph (Barooga), Joan Moss (City of Echuca) & Adele Ryan (Ocean Grove), they start at 9.30 am at MCC (Swinburne). Winners through to tomorrows finals in the Men’s draw are: John Snell (Lilydale), Colin Pavey (Leopold Sportsman’s), Ron Hayes (Donvale), Graeme Greene (Boronia), Doug Corrigan (Ringwood), Steve Mitchell (Koroit), Clive Morris (MCC), Michael Rose (Lilydale), Kevin Hutchinson (Rosebud CC), Stephen Coles (North Balwyn), Peter Gribbin (Pakenham), Lee Wesley (Burwood), Denis Yarwood (Eltham Rec. ), Tony Long (St. Leonards), Wayne Frazer (Burden Park) & Robert Anset (Kyabram). John Snell def. Colin Pavey 21/10, Ron Hayes def. Graeme Greene 21/7, Steve Mitchell def. Doug Corrigan 21/14, Tony Long def. Denis Yarwood 21/15, Michael Rose def. Clive Morris 21/18, Kevin Hutchinson def. Stephen Coles 21/20, Lee Wesley def. Peter Gribbin 21/13.Wayne Frazer def. Robert Anset 21/11. The men’s quarter finals at 8.30 am. Snell vs. Hayes, Mitchell vs. Long, Rose vs. Hutchinson, Wesley vs. Frazer. The men’s and women’s semis and finals from or after 9.30 am. Be there to support these wonderful armed bowlers! Mornington Mazda and Travability combined to sponsor Dromana’s Armed Pairs, the last on the 2016 armed calendar. This very popular event in the 2X4X2, 3X10 ends, shots up format, drew players from far and wide all vying for a part of the very generous $1,000 prize money up for grabs. Kevin Hutchinson & Ken Mallinson, best 3rd game. A. J. Parker & Mike Whitty, best 2nd game. Peter Gribbin & Mike Scotter, best 1st game. Ray Palstra & Bruce McDonald, Third overall. Peter Wilding & Gordon Halsall, Runner’s up. Phil Gude & Graeme Peck, Winners. Armadale’s inaugural “Super Bowlers Arm Tournament” was held today and it was not too hot, too cold, nor was it too windy or too sunny…What’s going on? It was a beautiful day and their carpet green was a pleasure to play on. Music entertained us throughout the day and the rapid format of 4 X 8 end games was a treat to those that love a short, sharp competition (or indeed those that need a new start, when all’s not going according to plan A). There was some serious money up for grabs and the entry fee of $25 per head provided bowlers with the best morning tea, the best lunch and best afternoon of any Armed tournament I have attended so far. Well done Liz Gild, Beryl Levin, Marcelle Karro and Lindsay Solomon. I dare say my $25 barely covered the ingredients, let alone the preparation time and volume. I’d like to tell you what we had I had but I’m scared I might miss out on mentioning something delicious that I didn’t have room for. Well ……. maybe I could just mention, the handmade biscuits and nougat, the chicken and cold meats, the myriad of salads (recipes coming soon), the chocolate fudge, mousse and watermelon, the scones, jam and cream and the magnificent up market cheese and biscuit platters. Clubs represented today were: Belvedere, City of Frankston, Croydon, Dromana, Drouin, Edithvale, Karingal, Mornington, Mt Martha, Mt. Waverley, Pakenham, Warragul, Whittlesea and Yallourn. Best 4th Game – Leon Cohen’s team of Herbie Lobel and Rob Solomon, Armadale. 9 pts. Best 3rd Game – Graeme Avery, Colin Dale and Barry Fossey, Karingal. 8 pts. Best 2nd Game – Peter Gribbin, Keith Archer and Garry Pincott, Pakenham. 9 pts. Best 1st Game – Bruce Kendrick, John Reid and Peter Armstrong, Mount Waverley. 11 pts. 3rd – Margaret Watson, Graham Watson and Terry Aldenhoven, Whittlesea. 22 pts. 2nd – Bob Ormisher, John Cobden and Ann Power, City of Frankston. 35 points. There to present the major prize of the day was the Member for Caulfield David Southwick M. P. who thanked the club for their great organisation and catering. He also thanked former Parliamentarian Phil Gude for all his work post politics, in regard to disability services. David (M. P.) expressed a passion about Glen Eira’s efforts in the engagement of all, with any or many disabilities, in his area of concern. Seems they are doing well and this is something Armadale Bowls Club have within their grasp to expand upon. The Winner of the Day was then announced! 1st place went to, none other than: A. J. Parker (Mt Martha), Phil Gude and Graeme Peck (Dromana) also on 35 points, winning on a count back 23 to 19. Apart from the $540 team prize money received, their names will be transcribed on a shield, on a perpetual trophy displayed today and presented by David Southwick M. P.
His appreciation of the Sponsors (and his Team). The fact that there are now 7,000 armed bowlers in Vic. 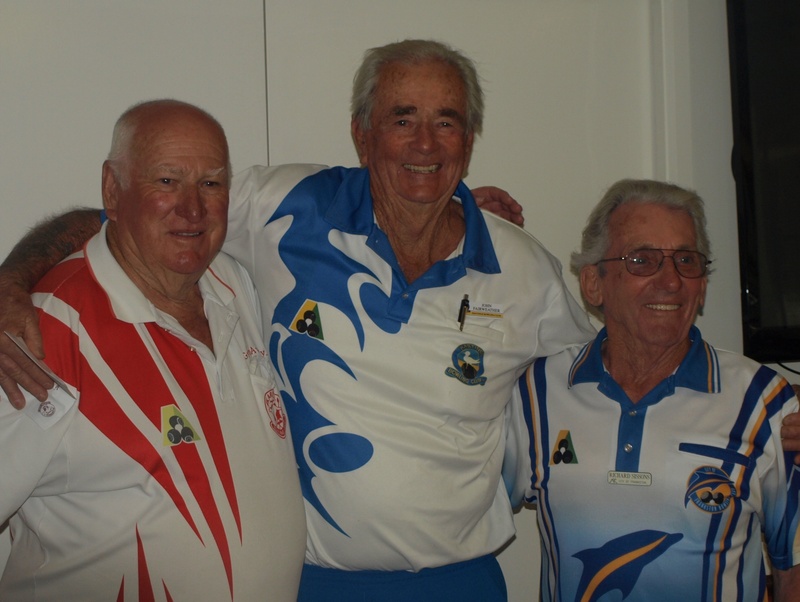 Frankston and Swan Hill were the first to advance armed bowling, 9 years ago. There are 24-25 clubs now holding armed day events in Vic. Armed Coaching has reached out to, and provided coaching to over, 2,500 armed bowlers throughout the State of Vic. The Physical & Intellectual Sector are supported by over 40 Clubs throughout Vic. Organisers of the day were: David Bernard (what a massive effort from David), Jack Cooper, Michael Gild, David Brame, Les Newman, Sharonna Brott and others there, in and out on the day, to help. Umpire of the day was Michael Gild. Photos are courtesy of Sid Buchbinder, and a video (wow that’s a first!) will follow. Well done Armadale! See you all there next year. Liz, Beryl, Marcelle & Lindsay. To see the video of this event click here and find it on ABA’s Facebook Page. Well today was one for the stayers and the real pros who were prepared to brave three games of 12 ends of pairs (2x4x2) in 33+ degree heat. It saw the demise of a couple of players and teams and our very sincere thanks to them for there sustained effort in that heat and our best wishes to them for turning up and giving it their best. Karyn Morgan from our Tournament Committee, did a fabulous job organising the event, the games and the cards, and assisting Sue, Nicole, Carli and Leigh in the kitchen preparing a scrumptious lunch of chicken and salads. Our bar staff kept everyone hydrated and thanks for their help. It was a great event with 20 teams entering and the winners taking home $2000 in prizes. Of course we can’t do this without the help we receive from our sponsors who were Flight Centre Lilydale, Heritage & Heritage Funerals Lilydale and LEAK Detection in Ringwood. The photos attached are of the Overall Winners, Kerrie Ralph from St. James (near Tocumwal) and her pairs partner Allan Walter who came up from Barwon Heads. (They were also runners up in Finley’s Armed Pairs) That is a pretty amazing trip for these guys to commit to and congratulations and well done on winning the day with a +35 score over the three games. Runners up were Peter Wilding (Croydon) and Ron Whittiker (Heathmont), Third place was Doug Corrigan (Ringwood – and a state player) and Ian Kost (Donvale) whom Doug had not met before but had the option of picking up Ian when his team mate had to withdraw at the last minute. Always good to have Douggie there on the day – he is the life and soul of the party and thanks for not letting us down with a team too few. Best first game winners were Norm Dickson (Warragal) and John Bulmer (Drouin) and yes he is our Johnny Bulmer’s dad – another great effort and a long trip to come and play. Best second game winners were Jim Yarwood and Peter Toovey (Eltham) and Best Third Game winners were our own home grown heroes Mick Rose and John Snell (Lilydale). City of Frankston’s Armed Singles Day looked tentative at first with most of us driving through some rain or misty stuff to get there. Organisers Richard Sissons, John Fraser, Alan Longmuir, Rob Huddle and Richard Keogh soon turned that around and we were not bothered weather-wise, from the 9.30 start till the last couple of play off ends late in the day. 51 bowlers attended this year’s event (I still say, it’s the only “Singles Tournament” in Aust. for Armed Bowlers – let me know if I am wrong please? ), representing 27 Clubs from around the State, up 15% on last year’s event. This event was sponsored by the “Club”, well done City of Frankston! Frankston has a wonderful work ethic and all contribute with a smile at any event they run. It was sticky bun for morning tea (breakfast for some? ), lunch was more than you could eat roast chicken, potato, coleslaw and bread-stick, followed up with an unbelievably delicious sweet, whichever chair you chose. Now that was a nice idea…. I sat according to the dessert and I was not disappointed. Special thanks to those that provided this meal for us, I don’t have your names but I do have your photo below, many thanks and your efforts were very much appreciated. There were many members on hand to help with the running of the day and Umpires, the husband and wife combo of Ted and Lyn Ryan, certainly earned their dessert as did the extra markers, raffle sellers, barman etc. But let’s move on to the exciting part. It was announced today that Lilydale have changed the format of their Armed Day, next Sunday 19th Nov. ’16, to 2X4X2……but still 3 games of 12 ends. They have the numbers, so if you are considering this event “get in quick”! Armadale is on 27th Nov. ’16. See you there! City of Echuca’s first Bowlers Arm tournament was held today with 14 teams. Unfortunately play was abandoned after one game due to rain. Cards were fanned and the lucky winners were Lorna Howell and Ken Taggart. Lloyd Ritchie and Keith Platfuss were declared 2nd with Vern Rehe and Gordon Johnstone 3rd. Kevin Cox and his partner won the jackpot. Thanks to the teams who travelled long distances to participate. Hopefully the weather will be kinder next year. Werribee Tourny 6 Nov ’16 Check tomorrow. 14/11/16. Werribee held its 2nd annual armed event on Sun 6th Nov. “16 with Tony Long of St. Leonards backing up last year’s win with another, this time with cohorts Ted Stephens and Les Awty, from Queenscliff. They played 3 games of 10 ends in the 2 bowl triples format, winning the first game by +1, the second game also +1 and came home rampaging with a massive +17 in their last game, enough to pip their closest rivals for the major prize of $240. 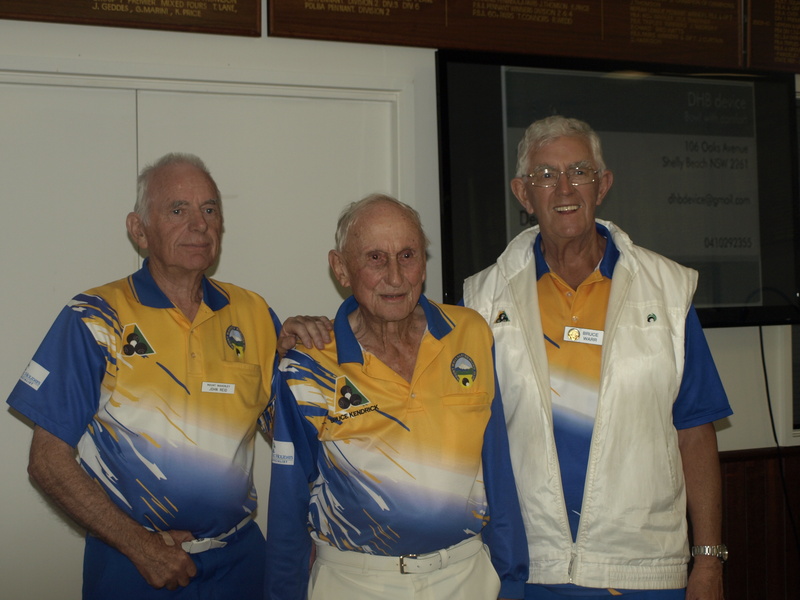 As luck would have it, their nearest rivals (runner’s up Norm Dickson and Brian Barby of Warragul with Jim Cuthbertson of Yallourn) dropped a 5 on their last end while Tony and team picked up a 5 on their last end. Those two last ends reversed the standings. How cut throat is that! Congrats to both teams. Best 2nd game winners were: Alan Walter (Barwon Heads), Ken Taggart (Maryborough), Ted Tyrrell (Hoppers Crossing). Salad rolls and sweets were enjoyed by all at lunch break and afternoon tea was served after the game. The day was sponsored by “Health & Mobility”. Winners Tony Long and team Werribee. Mt. Martha’s “Stick it to ‘em” Armed Bowls, 2 Bowls Triples snuck in with a full day of unexpected sunshine. A gentle breeze strengthened but the challenge was more welcome than not, for some. The day was sponsored by Angove’s Wines, who are well known supporters of many Bowling Clubs, and much appreciated by us all. President Val Stanley represented the company who were unable to attend today. Luc Chatham, and her fellow helpers in the kitchen (Jan Parker, Lyn Mathews, Ann Chatham, Marg Welch, Isabel and Moya) put on a superb spread for lunch, after greeting us with savoury French sticks and fruit loaf on arrival. Lunch was a superb lasagne with a delightful salad & French stick. Lunch came after our first 10 ends and we finished them at about 11.45. I was happy with the 10-end format, but on the day (a day after Pennant) some found it hard. What really impressed me is that the Club has 1.5 mitre measures in every, end of rink, shed! Hat’s off to you, Mt Martha for enabling a “Play by the Rule’s” Event. To other Clubs: If your Club does not have this in place…well, perhaps you should consider. 1st Game winners were: Barry Fossey (Skip), Graeme Avery (2nd) & Kevin Tourney (L) from Karingal. 2nd Game winners were: Greg. Cripps, Nola Oborne & Ray Owen from Mt Martha. 3rd Game winners were: John Malcolm, Ray Palstra & Bruce McDonald from West Rosebud. Runner’s Up were: Peter Wilding, John Pollock & Gordon Halsall from Mornington Civic/Croydon. Many thanks to Kevin Dungey, Greg Cripps and all at Mt Martha that made this day so pleasurable, enjoyable and smooth running for us all. Special thanks to Bowling Section President and Club Vice President Val Stanley for all her help and company today. Karingal got lucky after yesterday’s rain event left bowlers otherwise bereft of a weekend game of bowls. It was cool…and warm and occasionally windy but there was no rain to spoil our day. The greens (by Daniel) were very impressive to say the least. Teams came from: Armadale, Baxter Village, Blue Hills, Chadstone, City of Frankston, Cranbourne, Dromana, Edithvale, Elsternwick, Hastings, Heathmont, Karingal, Lower Tarwin, Melb CC, Mentone, Mt Martha, Warragul, Whittlesea, Wonthaggi. Some of the above did not turn up (? ), which was a terrible predicament for the tournament organiser, Graeme Avery. Graeme you managed beautifully and we thank you and sincerely hope you are relaxing now. It was 3 games of 13 grueling ends in the 2 bowl triples format. Most teams were in for the sumptuous lunch of 1 hamburger, 2 sausages, mashed potatoes, vegetables, gravy, all the sauces and a beautiful soft bread roll with apple pie and ice cream as dessert by 12.00 noon. (Dr. Jeff came in a little late, but I’m sure he got to enjoy it too.) Lucky Phil (Gude) won a raffle prize as did A.J. Parker …the other winners name eludes me. Nice to see a $1 raffle! Those who slaved in the kitchen to “make our day” were: Colin Burley, Barbara Burley, Margaret Tabener, Ivan Gibson (on the BBQ), & Glenys Smith (Ladies President). Best 1st Game (+19) – A. J. Parker and team Bob Campbell (L) and Mike Whitty (3rd). Best 3rd Game (+10) – Carolyn Burgess and team John Roberts and Colin Dale. Runner’s /Up (3wins +6 shots) – Doug Algie and team Allan Voice, and Kevin Vorbach. Winners – (3wins +46 shots) – Graham Peck’s team Phil Gude (Skip) and Ray Arnold (3rd). Fabulous day Karingal …. I’ll be back to make my 2-peat (2nd game win) a 3-peat. Ten teams participated with some bowlers traveling from distant Clubs such as Whittlesea, Yarra Valley, Wangaratta, Seymour, Shepparton, all mixing in well with our own Mooroopna members. The contest was over 3 games of 12 ends of 2 bowls Triples played on our lovely carpet green. Too much rain for play on our lovely grass greens, alas. At the end of the day, only one team had 3 wins with 5 teams winning 2 games each. Runners up were a team of Allan Walter (Skip) Ken Taggett and Lorna Howell, a composite team from Barwon Heads, Maryborough & Horsham. Best Game Winners each game: R Reseigh, Team Donald; T Marsili, Team Swan Hill; D Millsteed, Team Swan Hill. One game preceded a great lunch and two games followed after. Games were played in great spirit and a most enjoyable day was had by all. Thanks Arthur Drust for this report. Click on the photos to enlarge. Shepparton Park put on a fabulous armed event day today with a 3 game, 12 ends format of 2 bowl triples. “A great day was had by all that attended, and a fantastic 2 course lunch was put on by our wonderful ladies We all thank them very much for their contribution. Winners of the Day were: Skipper Allen Walter, Second Ken Taggett and Lead Lorna Howell, who had 3 wins for 56 points +21 shots up. Second place went to: Skipper Barry Anset, Second Peter (Boxer) Brodie and Lead Robert Anset, with 2 and 1/2 games with 50 points +26 shots up. Let’s remember that Mooroopna has a big Armed Bowlers day tomorrow! Check tomorrow for their report. Swan Hill’s Bowling Arm Classic Tournament went ahead last Saturday, the 10th September, with an impressive list of combatants competing for the generous spoils. The format of the day was Open 2 Bowl Triples and your personal $20 entry fee covered morning tea, a hot lunch and afternoon tea (how good is that?). Eighteen teams competed enjoying the day, and the first class hospitality. Visiting teams came from Barwon Heads, Maryborough, St James, Bendigo, Cohuna, Barham and Donald as well as representatives from other local, to Swan Hill, clubs. Winners were Graeme (The Big G) Edwards (Swan Hill), Barry Ansett & Lee Wesley (Bendigo) all current or past members of the fabulous Armed Vic’s State Squad proving their steadfast talent. Runner’s up were G. Smith, Bill King, G. Clark (Swan Hill). Best Game winners for each game were R. Reseigh & team (Donald Golf), T. Marsili & team (Swan Hill) and D. Millsteed & team (Swan Hill). Thanks to Owen Lewis & Barry Husson in the absence of our Green Keeper for preparing the greens, and also all those who assisted during the week. Swan Hill Bowls are sincerely grateful to our sponsors of this unique event, being:-Clarks Gift Salon, Country Hearing Care and Mallee Physio. The Hot Lunch of Soup and a Pie or Pastie served with vegetables was most welcome on such a cool day, by all players. Sincere appreciation to our Providore, Lynda King, Assisted by: Norma, Judy, Esther, June & Bev. Thanks to Philip Jennings for being “Umpire of The Day” and score recorder and to any others who helped make the day successful – especially all the Armed Bowlers for taking up the challenge. This event will be run again next year and the team that travelled the furthest has already put their entry in! Runner’s Up: Bill King, Graeme Clark & Graeme Smith (Swan Hill). Sunday 28th August saw 12 teams made up of players from Mordialloc, Kyabram, Shepparton Park, Whittlesea, Barwon Heads, Deniliquin RSL, Finley BC, Oaklands, Finley RSC, Barooga, Cobram & Picola take to the greens for the 2016 Finley RSC BC’s “Bowlers Arm Tussle”. Format this year was 3 bowl pairs played over 2 games of 8 ends before lunch & 1 game of 10 ends after. Sunny skies, light winds & beautifully prepared 15-16 second greens greeted the bowlers as they began the battle for the honour of being this year’s Bowlers Arm Champs. Going into lunch of soup & sandwiches prepared by the organisers, there were four teams with 2 games up who went out after lunch hoping for that elusive third game. Congratulations go to our winners for 2016 representing Deniliquin RSL BC- Brian Clancy (Skip) & Peg Dankhert who chalked up 3 wins – 49 points from R/U Allan Walter (Skip) & Kerry Ralph (Barwon Heads) on 3 wins – 47 points. These two teams have traveled to Finley RS since the first “Tussle” event 3 years ago & have finally made a podium finish – much to their delight. Third place went to Christopher Preddy (Skip) & Robert Anset from Kyabram with 2 wins, a draw – 40 points. Our encouragement award went to Ken Taggart (Skip) Maryborough Highlands & Jim Maxwell (Finley BC). My thanks go to all who participated & assisted in this year’s event (Club President Max Lewis who assisted in the organisation of the event and those in the kitchen, around the grounds, in the office and elsewhere: Joyce Thomas, Di Retallick, Max Lewis, Jeff Peacock, Members & Committee) for making this annual event a success. I’m always amazed at how well City of Frankston run their days! Today’s “Battle of the Arms” is probably one of their best, but when you consider the demographic of those they need to attract, then NO ONE does it like them, nor ever has. This is the Original “Battle of the Arm’s” (Bowlers using mechanical arms only.) event and it started 8 years ago at the City of Frankston courtesy of Alby Ashley and Richard Sissons. I believe Edithvale won the first, skipped by Frank Baguley and you can read about Frank on this site. We were all treated today to a wonderful collage of tasties and it started on arrival with a selection of Gluten free or otherwise tidbits, followed up with a lunch of Chicken with gravy, veg, salad and a cheesy potato thingy for main course, and a dessert of tarts & pies with cream and strawberries! Cream sponges, cheese and bickies at afternoon tea rounded off the day. How wonderful is that! I only mention that, as that is now the benchmark for others! Well worth the $25 entry fee. The raffles were also…..out of this world in no. As promised, by Richard Keogh he kept the rain away and put on a sunny day and as stated by Richard Sissons contrary to last year’s green speed of 2 running, 1 walking, …. we had 3 running. Darren was there for all the presentations and I’m sure he enjoyed the day as well. Best First Game: John Baker and team from Mooroolbark with +11 (winning on count back). Best Second Game: Richard Bailey and team from Seaford with +14. Best third Game: Bill McLorinan and team from Mt Eliza with +20. Fourth: Bob Ormisher and team from City of Frankston with 6 points +15. Third: Hans Bischofberger and team from Wonthaggi with6 points +19. Runner’s Up: Jim Cuthbertson and team from Warragul with 6 points +25. Winner’s: Peter Gribben and team from Pakenham with 6 points + 34! Teams came from everywhere today, I’ll tell you more about that tomorrow, but can you believe it there were 42 teams entered and 43 Clubs represented!!! A highlight of the day was the awarding of a “Distinguished Service Award” to Richard Sissons by Janice Sellers, President, Peninsula/Casey Bowls Region. All participants were given a commemorating photo taken by C o F Club President & Chairman Craig Williams (thanks Craig). Well done City of Frankston! More tomorrow folks. Today’s “Call to Arms” event has been run and won. A huge thanks to Panther Tyre’s from Lara for sponsoring the day, without sponsors these tournaments couldn’t happen. Edithvale held its third “Armed & Dangerous” tournament today in brilliant sunshine. Our Sat. President and Tournament Director Ian Wilding, coped beautifully with some early hiccups and ran the day single handily, like clockwork. Mentone, City of Frankston, Mordialloc, Cranbourne, Ringwood, Karingal, Lilydale, MCC, Warragul, Drouin, Glen Waverley, Burden Park, Armadale, Rosedale, Balnarring, Narre Warren, Whittlesea, Main Ridge/Dromana. That was a wonderful turn up and we hope you enjoyed our company. Today was a Medley Pairs Tournament with 9 ends in each of the disciplines 2X2X2X2, 2X4X2 and 2X2. For those that didn’t win the money there was always the chance of getting 1 of the 4 bunch’s of beautiful gerbaras, courtesy of Frank Baguley. (Our Synthetic Green is named after our Life Member and Super Vet. Frank and his late wife Isobel). Frank played beautifully today to the chagrin of some. I was thrilled to see John Snell play in his FIRST armed day at our Club. He had a blinder of a day, and so did his partner Michael who had only taken up the arm 3 months ago! John quipped that Michael however, “did have a good Coach”. Well done to you both. Many thanks too: Pauline Bourn , Barb & Norm Overson, Julie & Rob Bennett, Bob Steele, Mary Weston, Margaret Williams, Sally King, Barb & Terry Cheshire and if I didn’t mention you please let me know ASAP. Nice also to see some of our members there to observe. Peter Dixon and armed partner. Korumburra held its 2 Bowl Triples Armed Day on Tuesday 15th Mar ’16. There were 2 games of 10 ends before a BYO lunch and 2 games after…Now that’s competitive! The cost of just $12 per head included a sumptuous BBQ & salad lunch for the 38 attendees. The format was “Assembled Triples” a magnificent concept (still waiting for the rules Peter?) played over 3 games of 8 ends, with cash prizes and consolations. It’s Red Heart Day and Valentines Day…..enjoy! Warragul rustled up some brilliant weather for it’s Valentine’s Day Bowling Arm tournament on Sunday. It was 3 games of 12 ends in the 2 bowl triples format. Lunch and afternoon tea were included in the $45 team entry fee and was enjoyed and appreciated by all. The day was sponsored by Dean Winton of DHB Device, see our “Arm Makers & Manufacturers” section to read more about this impressive bowling arm and Dean. Winners – Doug Corrigan, Ian McLeod & Brian Jeffries. 14 teams entered, we played 3 games of 11 ends we had three, 3 game winners. The outright winner on percentage was Tyd Teal (Skip), Rex Webb (Third) and Peter Charlmers (Lead). One and a half games were played before a lovely lunch provided by the good ladies at Keilor and one and half games were played after the break, finishing at about 4 o’clock. We had teams from Wodonga, St Leonards, Melton, to mention a few, the winning skip and lead came from Buckley Park and the third was from Keilor. Ann Power had a very successful day, today, at Heathmont Bowling Club‘s Armed Bowls Tournament, the second Armed tournament for 2016. Bob Ormesher, John Cobden and Ann Power (City of Frankston) won best 2nd game. Ann also won a bowling bag in the raffle. But the real Winners of the Day were…Michael Scotter (ex Heathmont, now Cranbourne), Peter Gribbin (Melbourne) and “Uncle Arthur Newsome”. Second placed were: Fiona McNamara, Carl Curlett and Ron Whittaker. Third placed were: Allan Walter (Barwon Heads), Kerry Ralph (St James) and Laurie Millard (Heathmont). Best 3rd Game: Jim Cuthbertson, Fred Forde, K. Taylor. A very enjoyable day for all 22 teams entered. 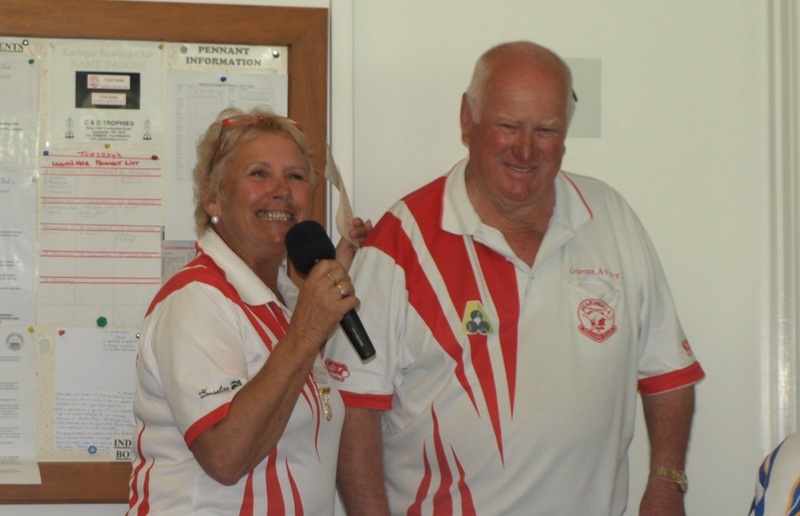 Central Wendouree Bowling Club held its first Bowlers Arm Tournament on Sat. 2 Jan ’16. It all went very well, everyone was very happy, and all went home pleased with the way it was run. The Winners were: Lead K. Caldow, 3rd R. Burzacott, and Skip Stewart Wilson, all from the Avenue B. C. The Winners received $70 each. Also we had a Scattered Rink and the Winners there were: E. Dakin, G. Landers and Alan Penrice. They each rec’d $10. We had teams from as far away as Warrnambool, Melbourne East, the Avenue and Horsham. We’ve have had a good response from all competitors so far, and all have said that they will be coming back. I’m pleased all went well. Cranbourne BC, Dandenong RSL BC, Edithvale BC, Karingal BC, Keilor BC, Koo Wee Rup BC, Main Ridge BC, Melbourne CC BC, Mordialloc BC, Mt Martha BC, North Balwyn BC, Ringwood BC, Rosebud Country Club BC, St Leonards BC, Warragul BC, Yallourn BC. Start was 10.30am (after roll up) and the finish time was between 5-5.30pm. A long day for legs weary after a Sat. Pennant Day. Winners of the Day were: Tony Long of St Leonards & Allan Walter of Barwon Heads. Runners Up were: Doug Corrigan & Brian Jeffries of Ringwood. Third were: Mike Scotter (Cranbourne) & Peter Gribbon. Best First Game: Phil Gude & Graeme Peck of Dromana. Best Second Game: Brian Barby & Ken Taylor (Warragul). Best Third Game: A. J. Parker (Main Ridge) & Mike Whitty (South Oakleigh, ex Dromana). Graeme Peck, Geoff Cripps & Alan Walters all took home a bottle of Champers (?) for a resting toucher in games 1, 2 & 3 (resp.). They deserve a “hat’s off” I thought it was impossible on carpet! Sponsor Bill Forrester of www.travability.travel was there today to hand out the prizes and the videos we all saw running during the day were quite inspiring……to say the least. They really do a wonderful job and deserve your support. Thank you also to Stephen Coles for your partnership and the pen(!) and thanks to the gent whose money I retrieved. The cash reward will keep me warm next winter. What a fabulous day in every way with 50 players converging on Frankston representing a massive 28 Clubs from around Victoria! City of Frankston sure know how to put on and run a bowling tournament but also, how to cater for other events. Their Volunteer Squad is unsurpassed. Today was a first in Armed Bowls ……..a Singles Event. Maybe a tad too long, but enjoyed by those of us up to “endurance” competition. It was Sectional play with 9 ends (4 bowls) twice, one rotating marker in the Section of 3. There were 24 live combatants after this and a lovely lunch (thanks Anne Skipworth and Helpers) After lunch it was 7 ends (4 bowls) twice, one rotating marker in the Section of 3. The field was reduced to 8 after this. 3rd and 4th Jim Cuthbertson (Yallourn) and Mick Whitty (South Oakleigh). 5th to 8th were: Pamela Bryant (Edithvale), Henry Drasek (C of F’ston), Tony Murray (Karingal) and Tom Bee (Blue Hills). Consolation prizes were also awarded, they went to: =3rd Bob Ormisher & John Cobden (C of F’ston), R/Up Joan Moss (City of Echuca) and Winner Stephen Coles (North Balwyn). Ann Power (Vic Rep. & C of F’ston member) represented the “Sponsor of the Day”, Dean Winton and his congratulatory message was read and appreciated. We all thank and admired C of F’ston for their support of Armed Bowlers and indeed for promoting us to a point where we have become proficient. (Might never have happened without you!) I name particularly Alby Ashley (not there today), Richard Sissons, Richard Keogh and Hans Gaymans. The City of Frankston and Dromana Bowling Clubs played an inaugural Bowling Arm Challenge today. According to Phil Gude (Bowls Victoria Board Member and Bowling Arm Coordinator) it is the first one in Australia and possibly the world. There are now over 6,000 bowlers who use an arm in Victoria. It was a gorgeous day the weather was kind and the company was fun. Our Club had 17 out of 21 Armed Bowlers compete. Thanks goes to Richard Sissons and Dromana for organising the day. Congratulations to Tony Long, Harry Dahloff & John Jackson who won the Werribee 2 bowl triples event with some really good bowlers in attendance. They won the first game by 3 shots and sealed it with a 21 shot win in the second. Karingal B.C. 11 Oct ’15 A fabulous day of “Armed Bowling” was held at the “Karingal B. C.” on this day. It was their first but definitely not their last event of this kind. It was a very well run event and thank you’s go to Graeme Avery (Tournament Organizer), Glenys (Ladies President), Ian, Brian, Arthur, Wally, and Marg & Helen. AND …the Umpire of the Day, Arthur Ogiers! Sandwiches and Soup were there for purchase ($3 each) and very much appreciated. Thank you to the ladies who prepared these for us to enjoy. There were 60 players, the weather was great, the grass ran 13 + on beautifully well kept “bent” greens, thanks to Daniel their green keeper! Visitors came from: City of Frankston, Rosebud, Chadstone, Heathmont, Baxter Village, Mornington Civic, Dromana, Mt Waverley, Vermont South, Edithvale, Drouin, Blue Hills, Mentone, Mt Eliza and Warrigal. 3rd Game winners were: Robin Williams & team. 1st game winners were: Bruce Kendrick and team. Runners Up: on %, 72% to 71% were: Tony Murray and team of Karingal. Winners were: John Fairweather and team. And the envelopes were also well done. Thanks Karingal …you have excelled!